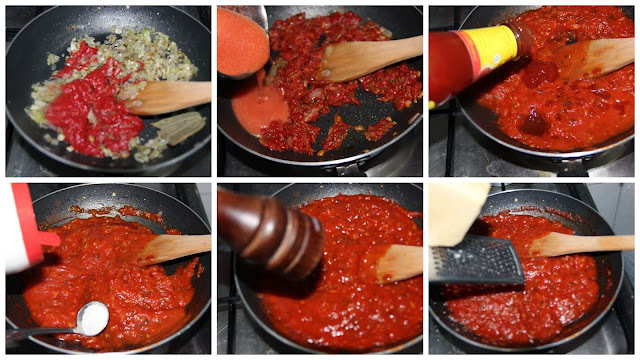 This Pizza Sauce is easy to prepare and so tasty and flavourful. This sauce is really ultimate; it is better than all pizza sauces i have ever tried and tasted till date flavour wise and also taste wise. Pizza Sauce is a tomato based sauce. 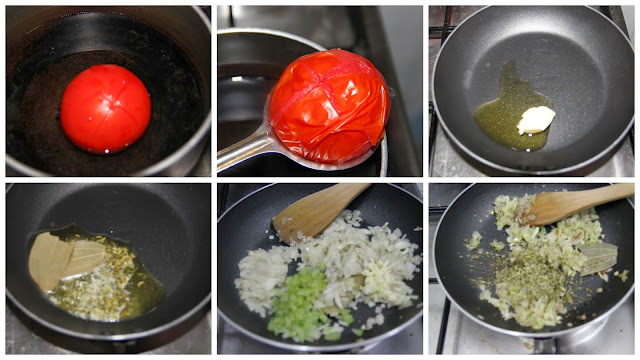 Tomato paste, onion and garlic come together and seasoned to get a flavorful, homemade pizza sauce. This creates a slightly sweet, mild spicy, intense tomato sauce. It's also good served with pasta. 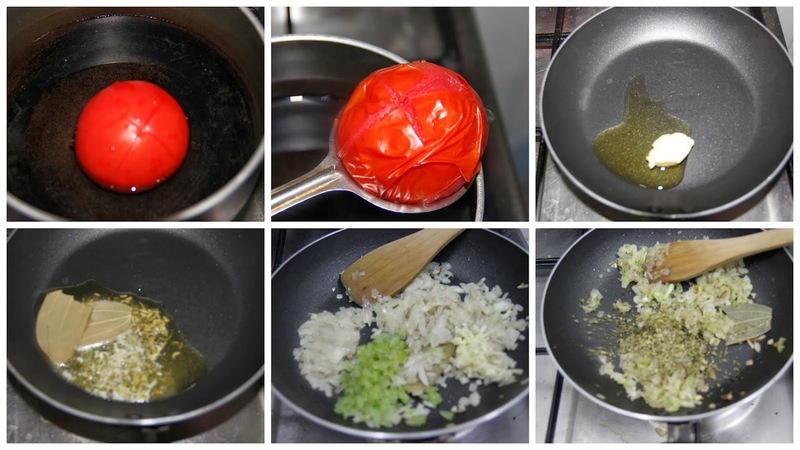 *If you do not get tomato paste, increase the number of tomatoes added to make tomato puree as three numbers. In a large pan, melt butter with the oil. Add fennel seeds and bay leaves. After a minute add the onion and half cook them, now add celery and garlic and saute until soft and transparent. Add tomato paste and cook for a minute. Then add the pureed tomato and stir until well. Add tomato sauce and balance the taste with salt and sugar. If the sauce is too thick add some water and season with pepper. Grate the Parmesan cheese and simmer for till nice flavor arises about 3-5 minutes. Remove the bay leaf and puree this into a fine paste if you like or use as such. Now the pizza sauce is ready to be spread on your prepared pizza dough. 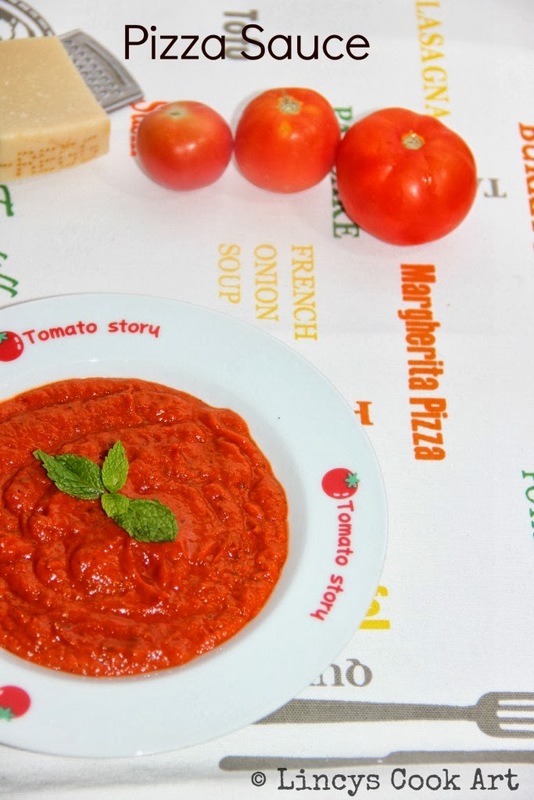 Very yummy pizza sauce and you have prepared it perfectly. Loved it. Happy New year to You Lincy..
Yummy and a keeper recipe ..